Treasury market moves are sending a menacing signal about the economic outlook. 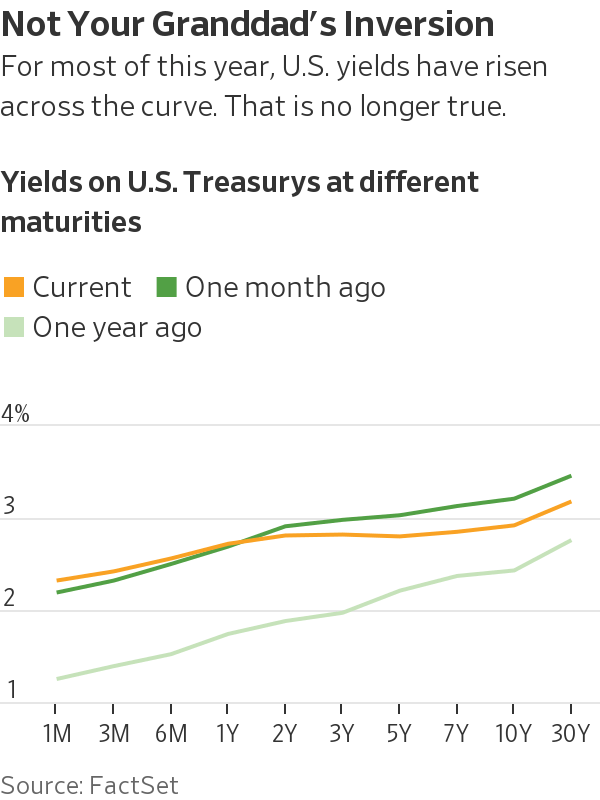 U.S. government bonds are on the edge of a yield-curve inversion, where shorter-dated bonds yield more than longer-dated ones—and recent moves carry a particularly bearish tone. The yield curve reflects market expectations for how fast the Federal Reserve is likely to raise interest rates, based on expectations for economic growth and inflation. An inverted curve—short-dated bonds offering greater nominal returns than their longer-dated peers—is often interpreted as a signal of a looming recession. But there are different ways to interpret a flattening curve, depending on how it comes about.